Back in 2009, Megan Rowlatt, who was relatively new to the Landcare scene had just been hired as a new coordinator for Landcare in the Illawarra. After surveying local groups, attending a few regional, state and national conferences she realised there was a bit of a common trend in what wasn’t working for Landcare. That was it wasn’t attracting any young people. So she decided to do something about it. She went ahead and established Illawarra Youth Landcare, a group for young people in the Illawarra to connect with local Landcare groups. She had no idea what sort of response she was going to get from the late teens to thirty somethings crowd. But when 18 uni students and other young people rocked up on a Sunday morning to the very first Landcare project at Puckey’s Estate in Wollongong, she knew she was on to something. Since that day, the group has assisted over 40 different Landcare, Bushcare and other conservation organisations, and has worked with hundreds of young legends who have rocked up to learn more about the Australian environment, Indigenous heritage and culture, and meet other like­-minded young people, explore and connect with nature, and give something back. 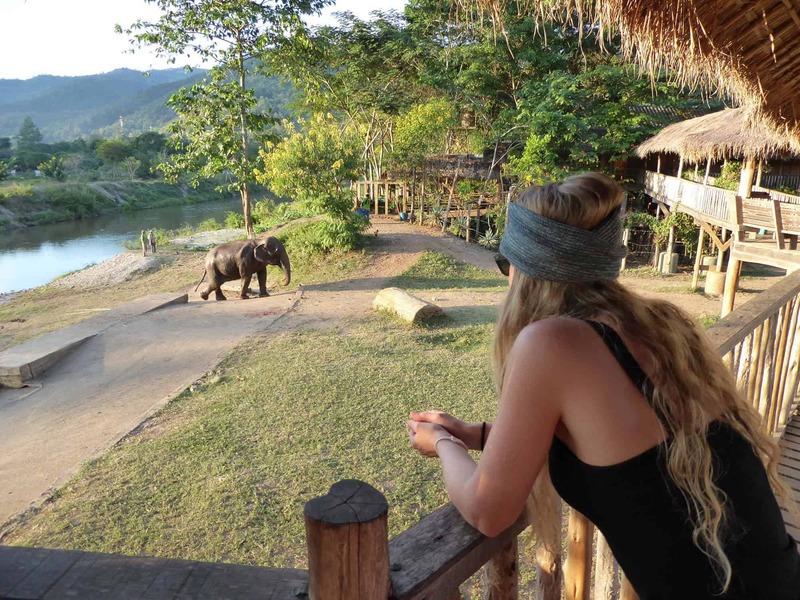 They even took the crew international and looked at the impacts of tourism on community, culture and wildlife, and contributed to an elephant rehabilitation program in Chiang Mai, Thailand. In 2014 the group re-branded and became Illawarra Intrepid Landcare to reflect the dynamic-adventurous group they had evolved into, and they have been growing rapidly ever since! Meanwhile on the Gold Coast, avid beach goer, and dune lover Naomi Edwards was restoring the Gold Coast coastline, and recruiting young people into tree planting events and beach clean up activities. She too had success with engaging young people in the community! Creating and connecting to groups such as Responsible Runners, Landcare, Coastcare and Catchment groups, many young people have had access to the amazing world of environmental volunteering. Fast forward to 2015, this long-­time stalker of the Illawarra Intrepid Landcare Instagram, picked up the phone, called Megan, and the rest is, well, history. Megan flew to the Gold Coast to help run a Landcare Leadership Retreat for students Naomi had created, and the results blew them away. This project inspired them to push the boundaries, go bigger and that is how Intrepid Landcare was founded. 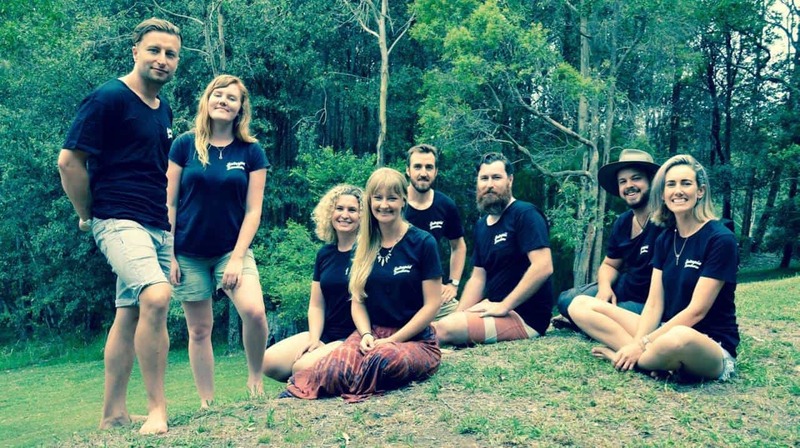 Co­-founded by National Young Landcare Ambassadors Megan Rowlatt and Naomi Edwards in 2015, they then worked on building a tribe of national leaders to co-create the organisation. The team grew and the organisation is today run by a passionate Board and group of contributors who are young, diverse and creative with backgrounds in environmental conservation, volunteer management, business management and entrepreneurship, youth and community engagement, safety and risk management, disaster recovery, cultural connection and awareness, community and personal wellbeing, nature connection and more! Intrepid Landcare is not your usual on the ground ‘Landcare group’. We are an adventurous organisation that empowers young people to lead on stuff that matters. We provide a common space to inspire, connect and empower young people to act and lead with Landcare. By creating a national movement connecting young people to drive and lead environmental initiatives that are relevant and important to them, we believe we will have the best chance forward in continuing an already highly effective movement which continues to repair the Australian environment, combat climate change and leave this place in better condition for future generations. Is your community ready to embrace that adventure?